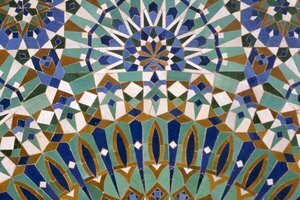 What Do Patterns Mean in Islamic Architecture? 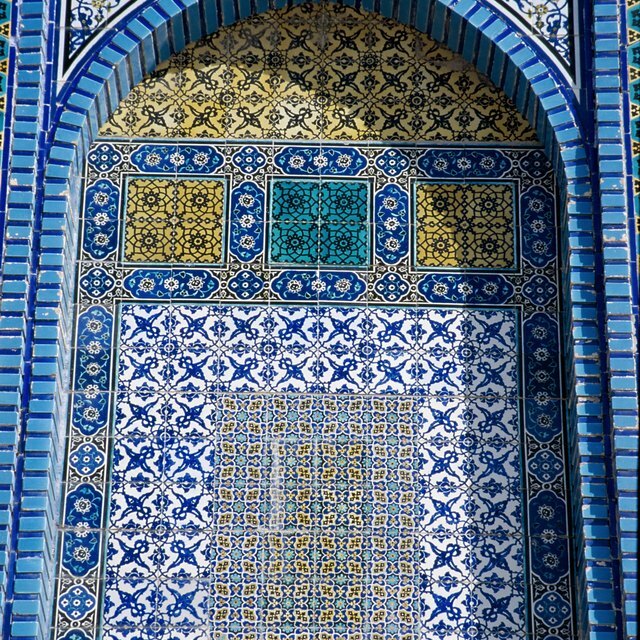 By covering buildings with patterns, Islamic artists hope to make them seem less substantial. Patterns in Islamic art take three different forms: vegetal, or curving vines, often called arabesques; calligraphic verses, usually from the Quran; and geometric shapes. Instead of representing something specific, as a symbol would in Western art, patterns in Islamic architecture are meant to represent abstract concepts related to Islam and encourage viewers to think about the impermanence of the physical world and the unity and nature of God. 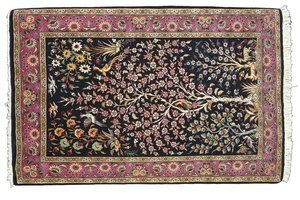 The aim of ornamental pattern in Islamic art isn't to merely decorate, but to transform. By covering buildings with patterns, Islamic artists make them seem almost insubstantial, destabilizing the physical lines and reality of the building into abstract shapes that endlessly repeat. Not only the pattern itself, but the scale of the pattern, emphasizes the impermanence of the physical world: large- and small-scale patterns are used interchangeably regardless of the size of the surface to which they're being applied. One of the central concepts of Islam is tawhid, or Divine Unity. In their use of patterns, which can extend for infinity, Islamic artists are in part expressing the fathomless nature of God -- not just that God is everywhere, but that God is unknowable. In this sense, pattern can be used as a meditative tool. Whereas Christian art would be representative in order to teach about the story of Jesus, Islamic art uses pattern to dissolve mental images and attachment to the physical world so that viewers might meditate on the spiritual world. In one of the hadiths, or teachings of the Prophet Mohammad that aren't a part of the Quran, there is a saying: "Allah is beautiful and he loves beauty." As well as reflecting the infinity of God, pattern reflects the beauty of God in its use of symmetry and mathematical equations. Christian Neoplatonic philosophy had a huge influence on Muslim thought, and one of its beliefs was that the nature of the universe and God could be found in numbers. As Pythagoras said, "All things are made of numbers." 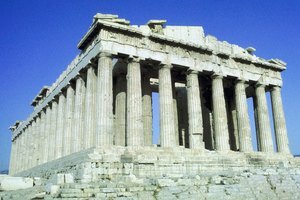 This provided the basis for a very strong interest in ratios, proportions and geometry that formed the basis of complex architectural patterns. Although shapes and patterns don't have any semiological meaning in Islamic art, they do have very abstract meanings that may or may not influence when and where they are used. For example, vegetal patterns, also known as arabesques, are often connected to the Garden of Paradise or the Tree of Life. Circles represent infinity because they have no beginning or ending. Interlacing polygons are based on the circular pattern and create some of the most complex patterns known in the world, expressing inexhaustible variety. Brandstatter, Tasha. 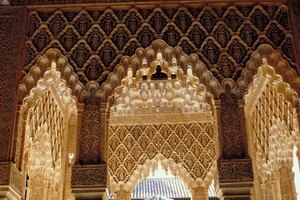 "What Do Patterns Mean in Islamic Architecture?" 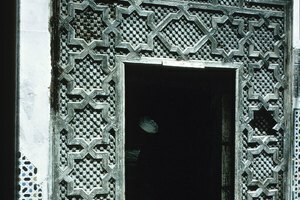 Synonym, https://classroom.synonym.com/what-do-patterns-mean-in-islamic-architecture-12087246.html. 29 September 2017.